Tesla’s highly anticipated electric semi trucks are rolling out next year so moves are being made to ensure the unique vehicles are a success. One major development is the fact that Tesla is collaborating with major companies who have already placed orders for its semi trucks to build on-site charging stations. These companies include Anheuser-Busch, PepsiCo, Loblaw Companies Ltd, and United Parcel Service, and it’s possible these companies could eventually share facilities with each other. “What was important to us was to make a big investment in this cutting-edge technology and secure our place in line,” Anheuser-Busch senior director of supply chain James Sembrot said to Reuters. 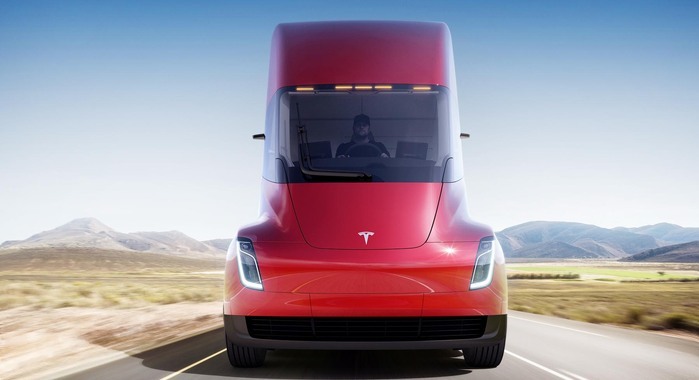 Since Tesla’s current charging stations are suitable for massive semi trucks, this new collaboration seems like a logical step in ensuring their viability moving forward.